"MORG" is originally from North Dakota. He's been attached to VP-40 for just over 3 months. His previous duty stations include: VP-30. "HOWIE" is originally from Thomasville, Georgia. He's been attached to VP-40 for over 4years now. 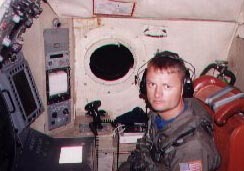 His previous duty stations include: VP-30, VP-56, VP-45, NAWC, and VP-40. 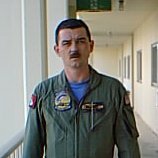 He transfers to VP-30 in June of 1999. "NUGGETT" is originally from Indiana. He's been attached to VP-40 for 3 months now. His previous duty stations include: VP-30. link to a great site for all AW's to visit!